Lots of changes and new vendors await shoppers at the Kauneonga Lake Saturday morning Farmers Market located in the town of Bethel. 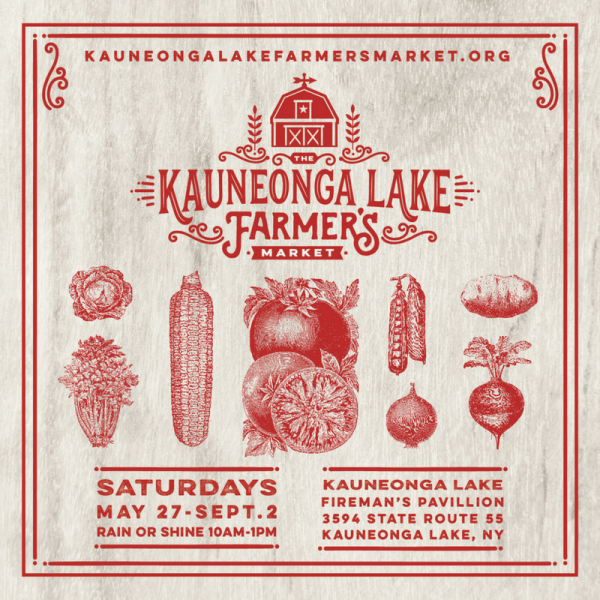 Every Saturday morning starting May 27th, 2017 through September 2nd, 2017 from 10 am till 1 pm, farmers, producers, and artisans will come together at the Kauneonga Lake Fire Department Pavilion to provide a variety of products directly to consumers. The market will also host informational booths from local organizations, businesses, and nonprofit groups. At each of the (15) fifteen scheduled Saturday Morning Markets a different vendor or activity will be showcased. The market encourages a building healthy lifestyle, fosters social gathering and community building, and promotes a healthy economic environment.